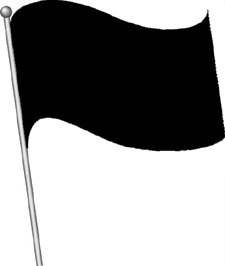 Novice Activity Page - Learn the Flags! This flag means GO, GO, GO! This flag means CAUTION!....................................... Slow down and don't pass any cars. 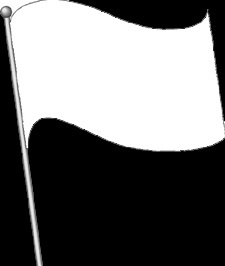 This flag means STOP! ...................................................... Put your foot on the brake pedal and stop right now. You must drive your car off of the race track immediately. 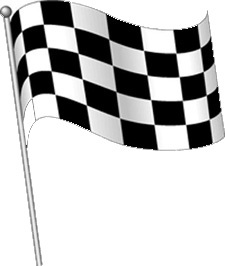 This flag means ONE LAP TO GO! ..... There is going to be just ome more lap in the race.